Money doesn’t have to be stressful, make you worry or give you anxiety. When you confront your financial situation, get conscious about your beliefs around money and set magnetising money goals, money is easy, empowering and even fun!! Feeling calmer, more organised and empowered when you think and talk to about money. 1x Detailed and downloadable PDF workbook that supports everything Bridget share’s in the live training and sets you up to magnetise your very own money goals! Limited spaces available, book below! Can’t make the time below to the live masterclass? No worries! Everyone will be sent a recording of the live masterclass as well as the Magnetising your Money Goals Masterclass WORKBOOK following the live training. 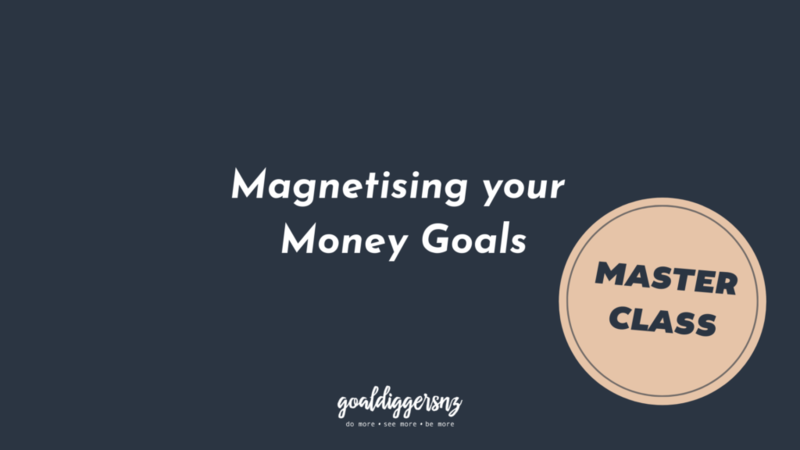 Magnetising your Money Goals Masterclass spaces have been filled! Keep an eye out for when you can access the replay content.